Putnam Church preschool’s registration for fall 2017 is now open. 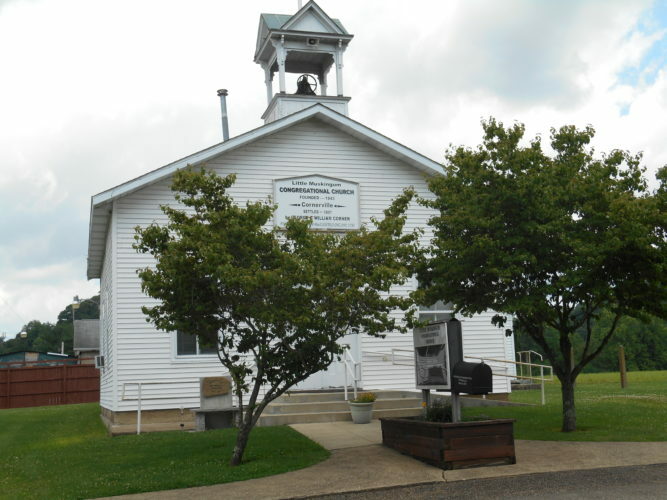 The preschool is located at 707 Masonic Park Road in Devola and is a ministry of Putnam Congregational Church. There are openings in both morning and afternoon sessions. Call 740-374-7224 or email the church at putnamchurchpreschool@outlook.com to schedule a visit to the Little Red School House. Visit their website at www.putnamchurchpreschool.org. A Wayside Vendor Fair will be from 10 a.m. to 3 p.m. March 18 at Wayside United Methodist Church Bayer Center, 3001 Grand Central Ave., Vienna, W.Va. Admission is $3 per person and there will be free parking. Vendors are Pink Zebra, Wildtree, Tastefully Simple, Scentsy, itWorks, LulaRoe, Thirty One, Crafters and many, many more. Search Wayside Vendor and Craft Fair on Facebook. An Easter “Egg”stravaganza will be on Easter Sunday, April 16, at Hope Bible Church, located at 251 Sandhill Road, Marietta, right across from Reno School. Sunday morning there will be an Easter Egg hunt, Communion, Easter service, and Easter lunch. Everything starts at 10:30 a.m. Bring a favorite dish to share for lunch. Also, Easter Sunday evening at 7 p.m., the youth of Hope Bible Church are presenting “The Best Is Yet to Come.” This live drama will give you an enlightening look at the real meaning of Easter, while at the same time, create a chuckle as the characters be their own funny selves. The drama will be held in the church’s auditorium located at 251 Sandhill Rd., Marietta. Doors will open at 6:15 p.m.
All activities Sunday morning and Sunday evening are free to the public. For more information, text or call Dakota Goldsberry at 740-336-9046. The Free Clothing Closet at the Waterford Church of the Nazarene, 111 Marquis Ave., Waterford, will be open from 9 to 11 a.m. Thursday, March 23. Good, clean clothing of all sizes and types, including some prom dresses. Everyone welcome. For more information, 740-984-2089.